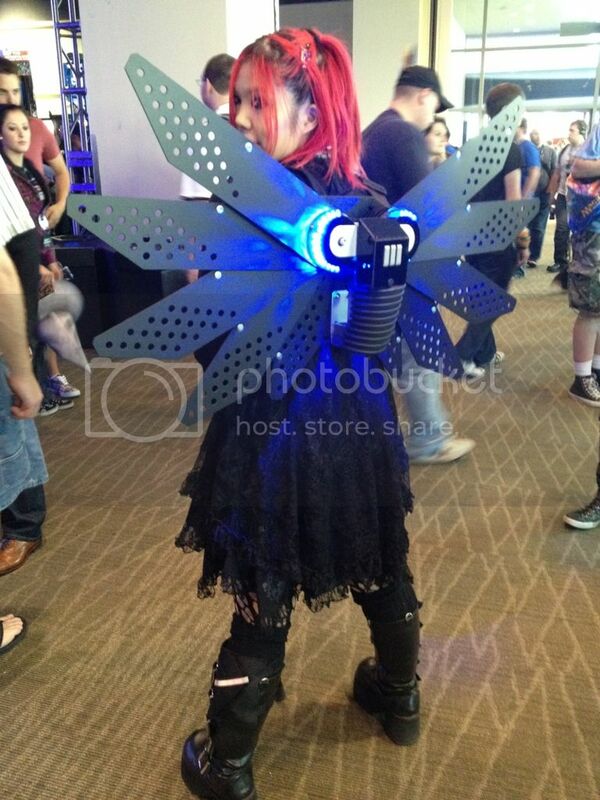 PAX was fabulous this year. We really enjoyed ourselves. Here are some photos I took! 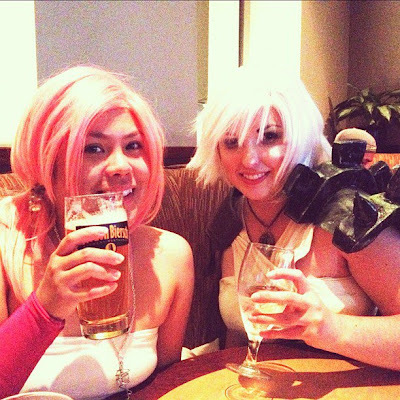 SmallRiniLady and Avalyn lunch at Gordon Biersch on Friday while dressed as Serah from Final Fantasy and Riven from League of Legends. 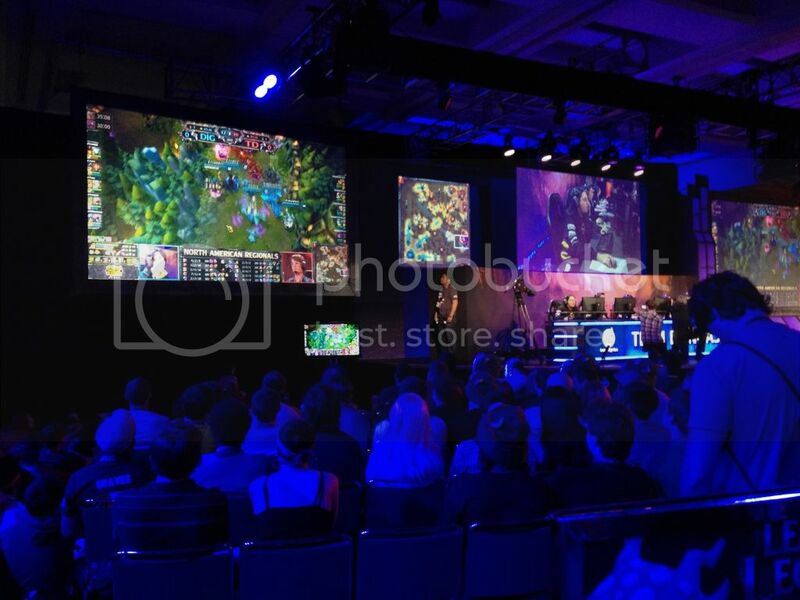 New this year, Riot had the League of Legends NA Regionals up on the sixth floor of the convention center. They should host that at PAX every year! It drew a huge crowd, all day long, all three days. 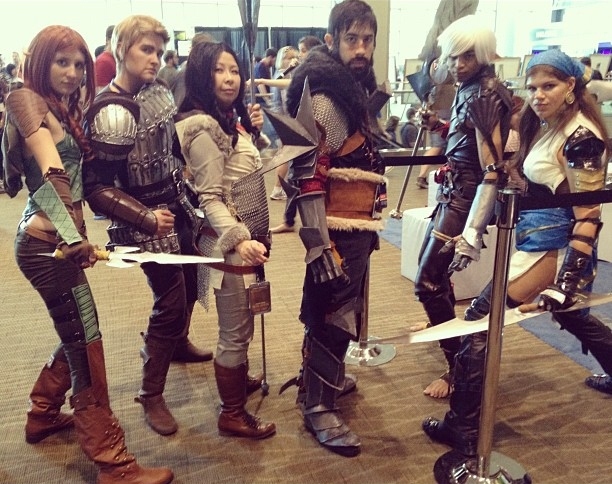 Found a Dragon Age 2 cosplay group! Excellent workmanship on those costumes. 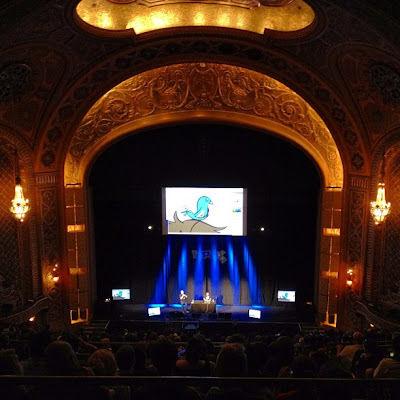 On Saturday we went to the Make a Strip panel by Gabe and Tycho from Penny Arcade. We always try to make that panel every year, it's a hoot. I still remember the first time I saw this panel at the Meydenbauer Center and I discovered the magic that is the Hotdog Fairy. There was an insane amount of League of Legends cosplay at PAX. 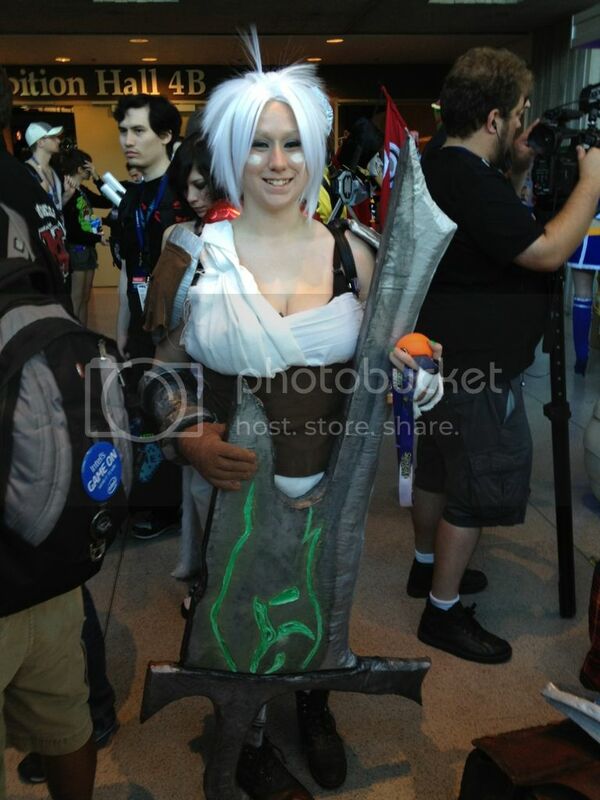 Riot had a cosplay showcase every day at 2PM so I signed up on Friday. 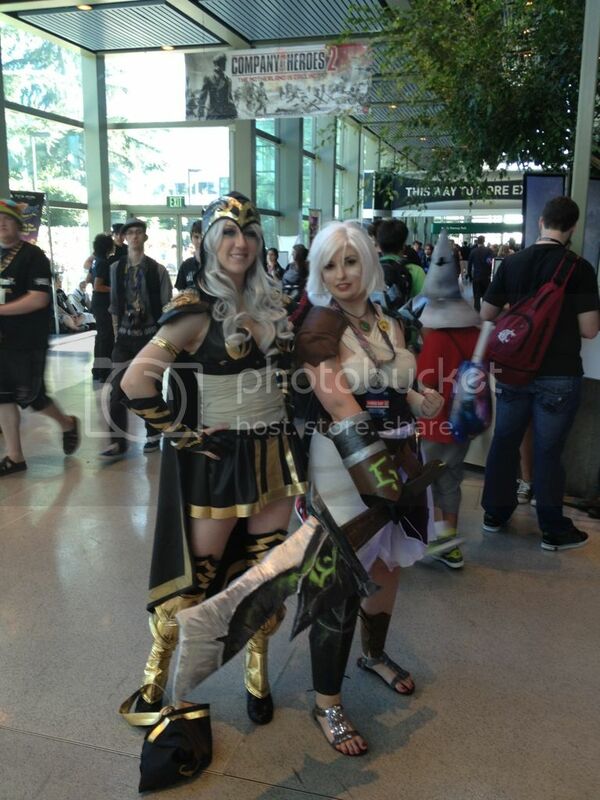 Got my photo with Riot Nikasaur on KOMO News here! Here's me with a couple of my favorite LoL champions! 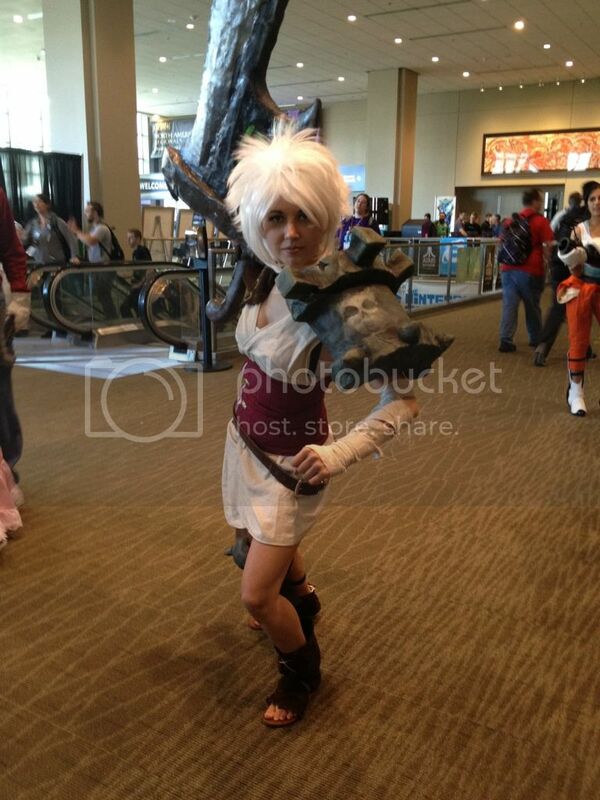 I also found a lot of Rivens! What do you call that, a pack? A horde? 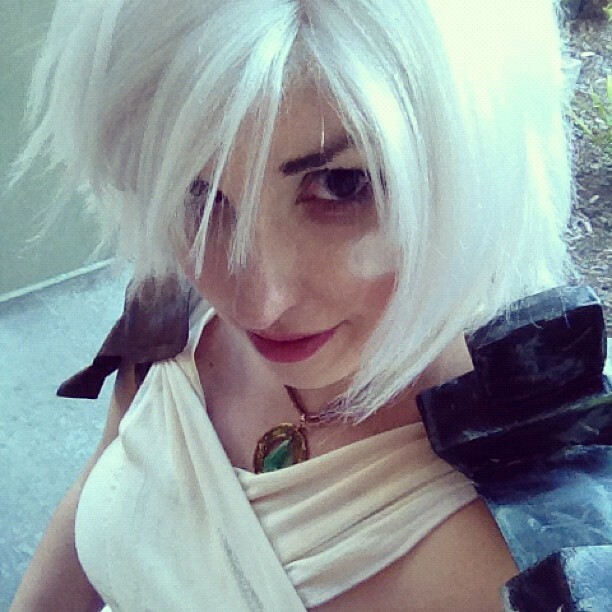 A roost of Rivens? Anyway, here are some of them! Her armor and sword were made with expanding foam - durable and rubbery/squishy! 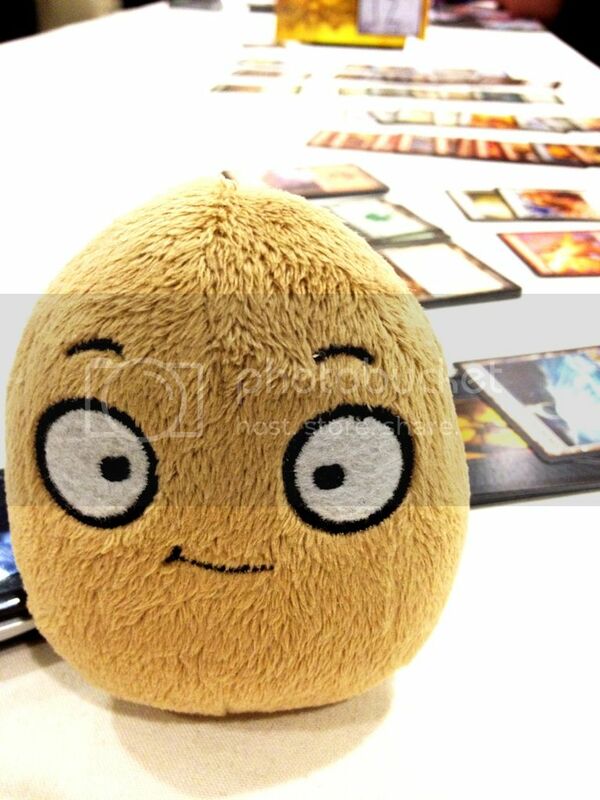 Went to the Magic the Gathering party on Saturday with my husband. 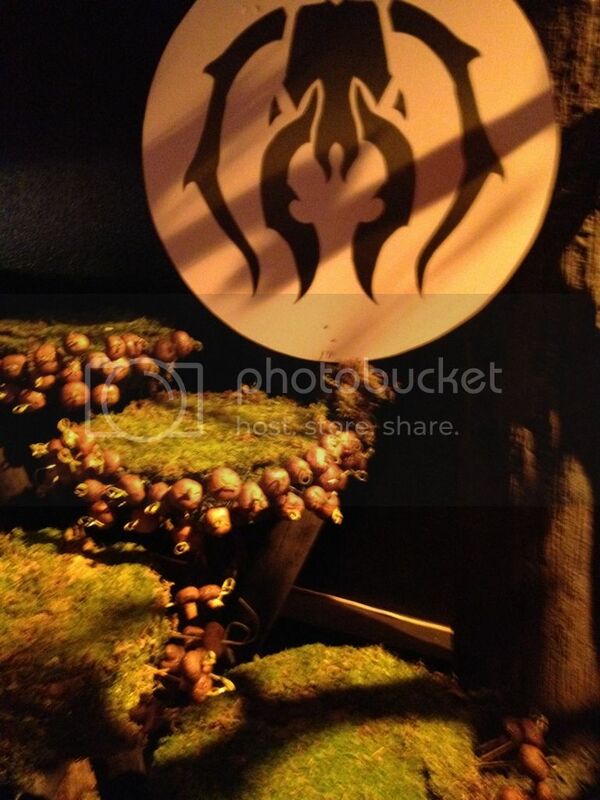 They had mushroom appetizers on trees! How cool is that? Made another friend! 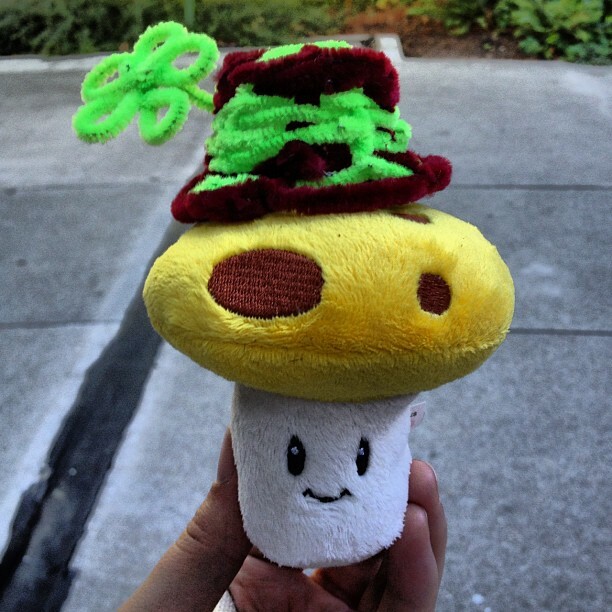 Actually, first I made this little hat out of pipe cleaners while waiting in line for Wil Wheaton's awesome hour. 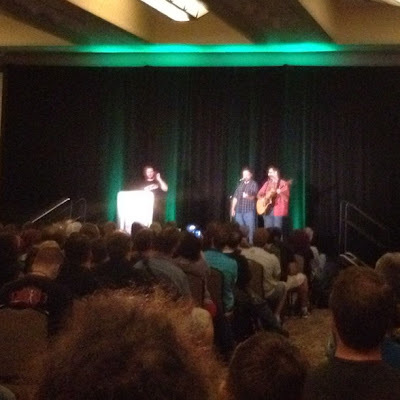 Wil Wheaton did not disappoint. Just wish I could have sat a little closer. They didn't have video on the screens while he was talking and the sound was very quiet so it was hard to hear him about 10% of the time. Wow, check out these wings! They are motorized and can fold down and collapse! I dressed as Riven on Friday and Sunday. Unfortunately my Warcraft costume just did not look like it would survive the day so I didn't wear it. It may need to be retired. 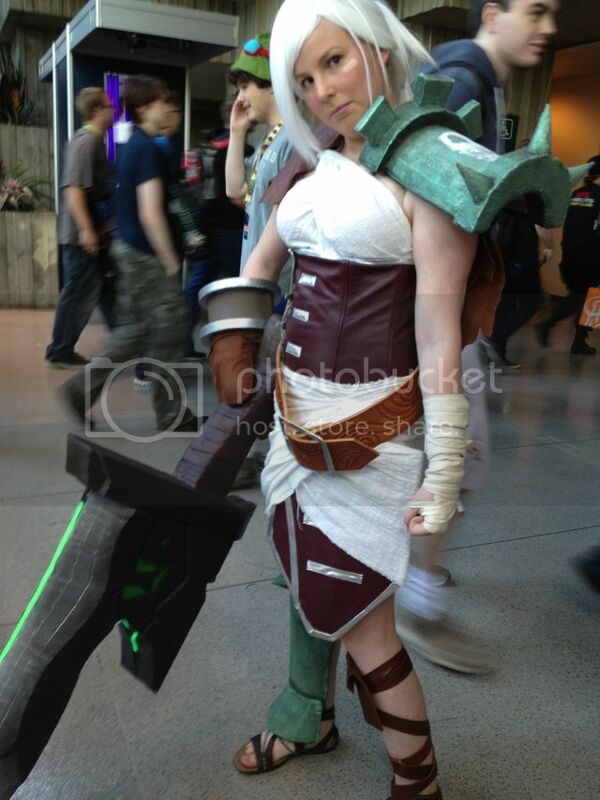 I really enjoyed wearing the Riven costume though! Looks like a fun time! Thanks for sharing. I enjoyed the posts on PAX. 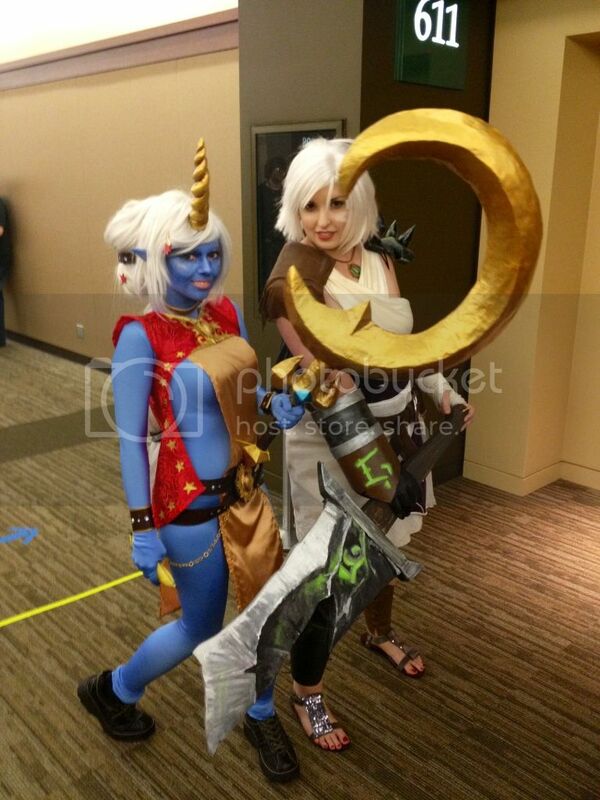 Fun Fact, the Reverse Annie and the Soraka are the same person :O!